The HTC one (M8) is the 2014 flagship Smartphone from HTC and available since a few days in the trade. It is a direct competitor of the Samsung Galaxy S5, which also comes in these days on the market. HTC One (M8) continue to focus on camera and sound, but also the housing sets standards and is absolutely unique in the Android area. I was already able to test the device, though I have not only tried the heavily advertised multimedia features, but tested the device on the basic functions such as calling and receiving power back. 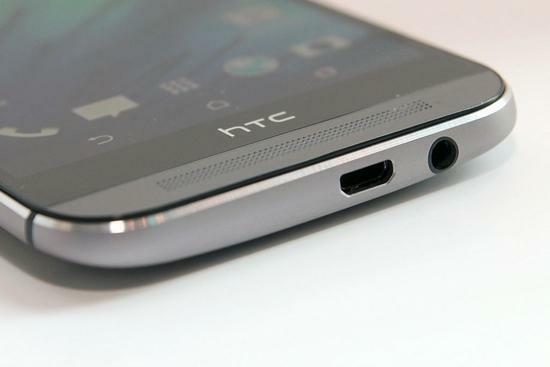 The HTC one (M8) is packed in a narrow box, with the Smartphone there is still a power adapter (Output: 5V, 1.5 A), a USB to microUSB cable and an in-ear headset. A special feature is the also supplied rubber sleeve, which makes the Smartphone a very classy look and protects the device against scratches and damage. For most users, the shell should be quite sufficient, so that the usual purchase eliminates a separate bag. Furthermore, there is of course a quick start guide and a warranty Note, also a small needle is included, with which you can detach the slide for the sim card type 4 FF (nano-SIM) from the device. If you hold the HTC one (M8) for the first time in hand, you will be surprised directly from the extremely high-quality body. HTC has managed to improve the body materials again significantly compared to its predecessors; the device is now completely out of metal, only the speaker covers and cutouts for the antennas are still made of plastic. The HTC one (M8) is narrower at the sides and is clearly rounded, so the enormous dimensions is still quite good in the hand. One-hand operation is a problem in the Apple iPhone 5s, but in the One (M8) it’s possible under any circumstances. The display with 5 inch (12.7 cm) on the diagonal and is significantly larger than the iPhone, which offers advantages especially in multimedia features. 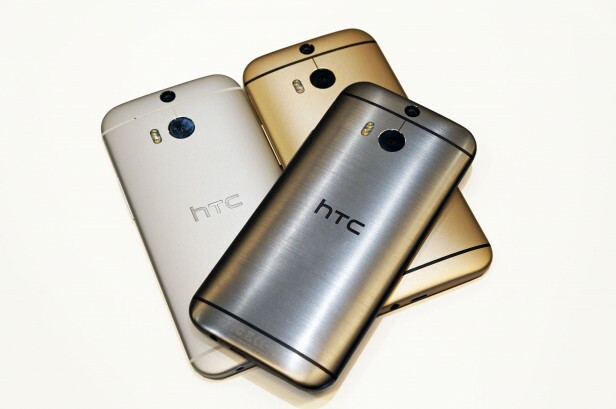 HTC offers the One (M8) in the colors of metallic gray, silver and gold, the silver and gold have a matte case while metal gray offers brushed steel. 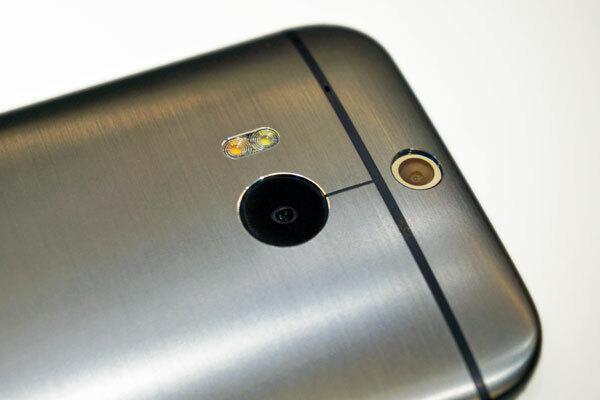 On the front you will find no keys on the HTC One (M8). These are shown on the display if they are needed. Above and below the display is one loudspeaker. 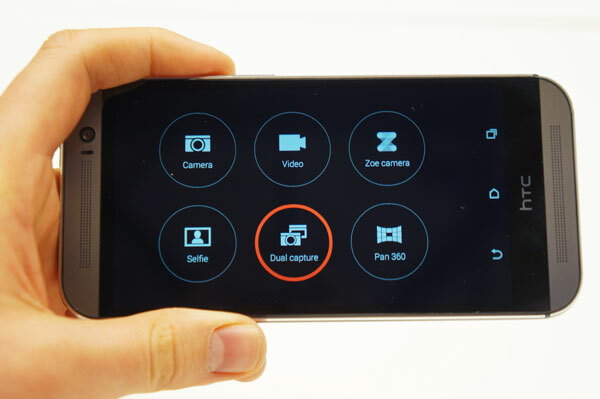 There is also 5 megapixel LED front camera, which can also record 1080p Full HD videos. User might complain the LED that it flashes a maximum of 5 minutes, if there is a way to set this function it would be useful. 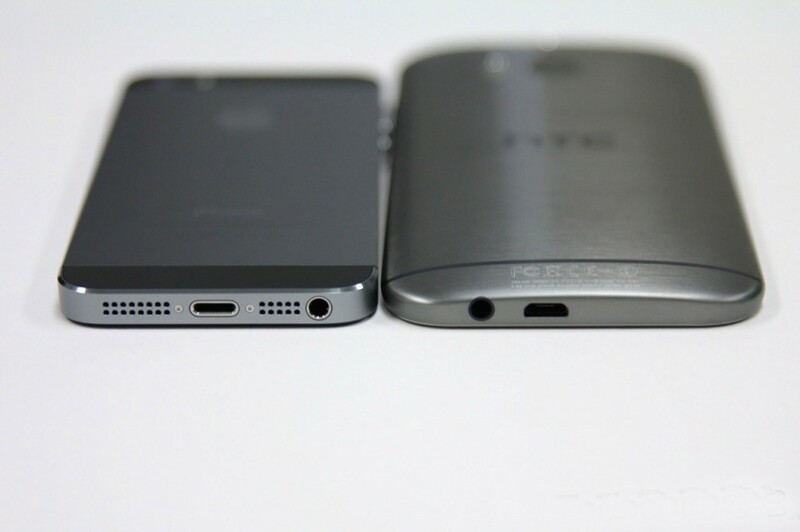 On the right side, HTC has the volume rocker attached, which is also made of metal and has a good pressure point. Above this is the slot for the microSD memory card, 16 GB of internal memory can be extended on request by up to 128 GB. On the left side there are no buttons, only the SIM slot is located. Bottom of the device is the 3.5 mm jack and the microUSB connector. On the back center, we can see the HTC logo with the main camera of a resolution of 4 megapixels (Ultra pixel camera, as HTC calls it). The real peculiarity is to be found on the main camera: a second lens (“duo-camera”) measures the distance to the objects and allows you to change the focus in the image again in the supplement. For shooting in the dark, a dual-LED flash is built in, where a yellow LED is next to a white LED, just like Apple iPhone 5S, so the colors look more natural in the photo. The display was again increased larger compared to its predecessor HTC One (M7) and now measures 5 inches in diagonal. The high resolution of 1920 x 1080 pixels (Full HD), provides a very sharp display, colors look very natural. The brightness of the display is sufficient to use the device well in the sun can. A special feature is the so-called “Motion Launch gestures”. They allow unlocking the HTC One (M8) even when the display is off. It sweeps around from bottom to top, so you end up immediately on the home screen. With a double-tap to get to the lock screen and can see missed calls or messages. Since the power button is placed on top of the device and with one hand is difficult to achieve, the gestures are a really convenient feature after you get the phone in hand. The buttons are now displayed in the display. The camera was able to convince only partially in the test. To see the photos in good light and sunshine really excellent, but the low resolution of only 4 megapixels (16:9) hardly allows subsequent “zoom” in the image. When shooting at dusk or in the dark the HTC one (M8) can also satisfying: here are many details in the pictures visible, the photos look quite natural. Something is not good on the macro mode: compared to other smart phones such as theSamsung Galaxy S4 , the feature cannot go particularly close to you, as well as many of the details are presented not as sharp as usual from other cameras. Overall, the camera in the HTC One (M8) is thus indeed not bad; on the contrary, they can meet the high expectations in my opinion. The large-advertised “UFocus” function with the second camera lens is actually quite hidden and selecting “Edit” from the menu only to find. The focus can be reset if you wish, which also works quite well. The HTC speaker is also very good to offer not only a decent volume, but also a rich sound for a smartphone. But do not just listen to music is a pleasure, even hear phone calls as the hands-free function is very well. Software The HTC One (M8) Android comes in version 4.4.2. As a user interface, HTC Sense 6.0 is pre-installed. With 2.3 GHz Qualcomm Snapdragon 801 processor, HTC M8 works extremely fast and reliable, in the test we were unable to find any negative points. 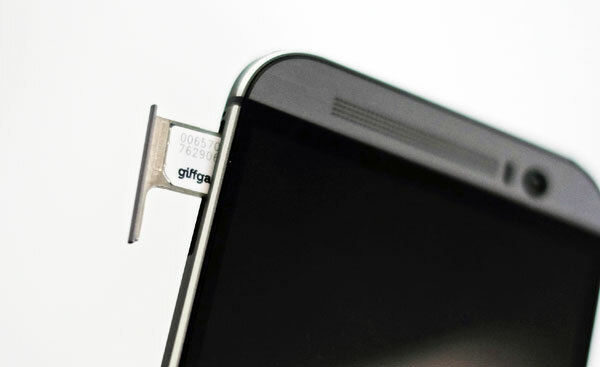 The modem in the HTC One M8 supports GSM/EDGE (up to 384 kbit/s), UMTS with DC-HSPA+ (up to 42.2 Mbit/s) and LTE (Category 4, up to 150 Mbps/s). It can also works with LTE frequency bands 800/900/1800/2600 megahertz, so all the bands that are used in Europe are supported. In addition, the wireless technologies Bluetooth 4.0, WiFi 802.11 a/b/g/n/ac and GPS / GLONASS are available. The reception quality of HTC One M8 from Germany Telekom is very good. In area of WLAN, the HTC one (M8) is impressive: it offers good reception and transmits data often much further away from the base station, than comparable devices. Overall, one can say that the engineers have done an excellent job on the HTC One (M8) and in the test consistently good reception values were achieved. The data rates were correspondingly good. Regarding the call quality, the smart phone also plays with the very top, at least when the phone call with HD voice is conducted. In the HTC One (M8), 2600 mAh battery is built-in. Since the device supports Qualcomm Quick Charge 2.0 technology, fast charging is possible with a matching power supply. Unfortunately, the included power supply but does not support the technology. The battery life is about one day in heavy use, for normal use it should also be feasible two days. However, if the camera is often used and the integrated step counter function is enabled, then you should recharge the HTC one (M8) every day. 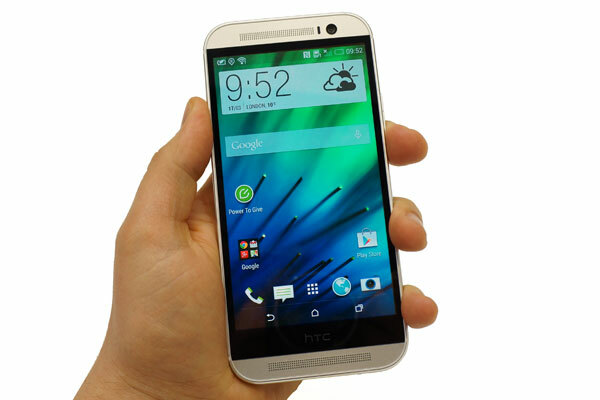 HTC One (M8) is a very good smartphone on the market. The case studied in its same, the details of how the gesture control a lot of fun and the basics such as reception and voice quality are also right for Android segment. Only the camera cannot keep quite what HTC promises. The HTC one (M8) is now available with or without a contract in the site www.4gltemall.com . The retail price is without a contract and buy it now have special gift for the orders.